Easy to Use! Simply peel and apply to any surface. Prevent skidding, vibration, and slamming on countless applications. Contact us today for the highest quality products in the industry. 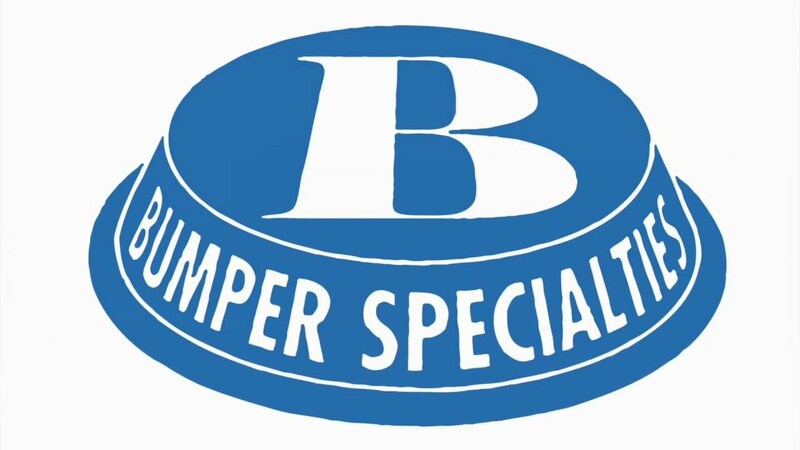 Bumper Specialties, Inc. is the worldwide leading manufacturer of self-adhesive polyurethane rubber bumper feet, which are proudly made in the USA. Our easy peel-off rubber bumper stops are used on thousands of different applications and are made in various shapes and sizes to suit the needs of our customers. 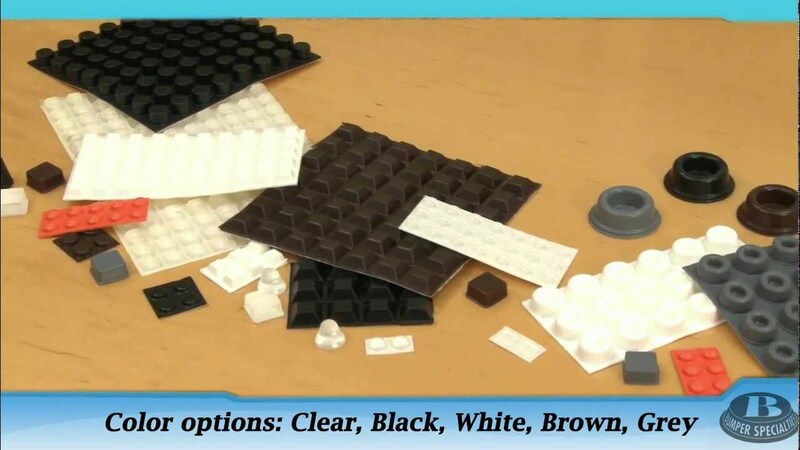 We manufacture over 40 different shapes of rubber feet which are available in clear, black, white, brown, and gray. These crack-resistant, non-skid bumper pads do not contain plasticizers, oils or fillers. Additionally, they will not mar, scratch, or stain any surface. Our first priority is to provide our customers with quality products, competitive prices, and excellent service. Find out more about Bumper Specialties and how we became the leading manufacturer of self-adhesive polyurethane rubber bumpers. We are located in West Deptford, NJ and all of our products are Made in the USA. If you are looking for a variety of different sizes of rubber feet protectors, pads or stops, you have come to right place! 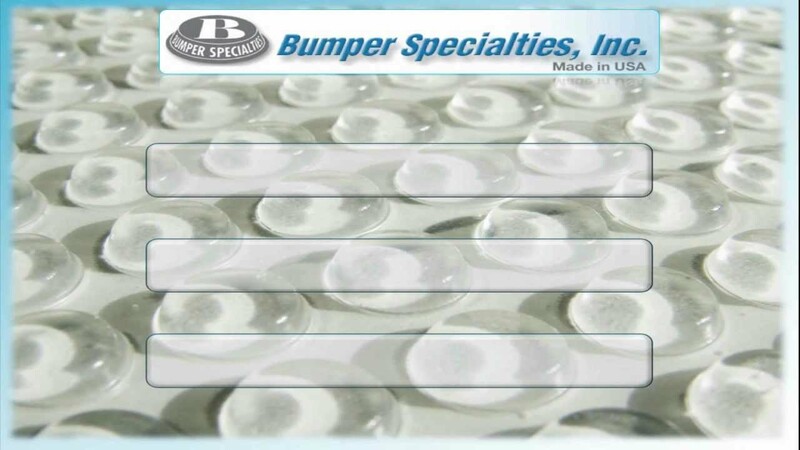 Our bumpers come in a variety of color options such as, clear, black, white, brown, and gray. Our bumpers are everywhere and the applications are endless! 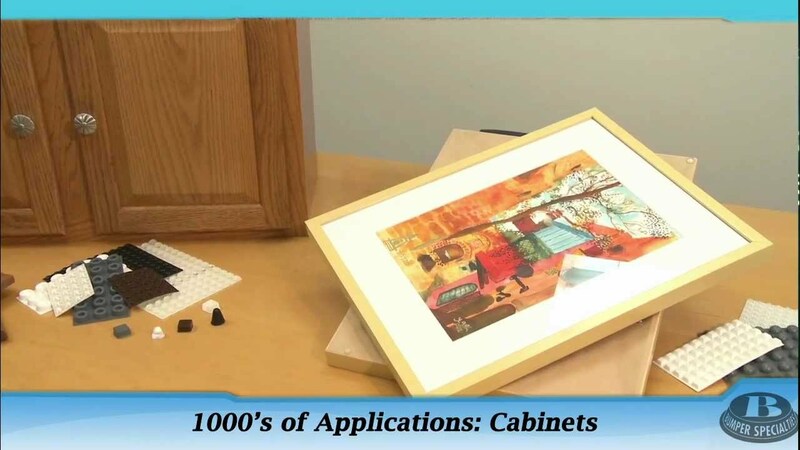 Non-skid rubber bumpers can be used as sound dampeners for cabinet doors, pads for drawers and picture frames, feet for cutting boards, spacers for electronics, coasters, furniture, POP displays, and many more. We provide our customers with full engineering support to help them design a rubber bumper that meets their particular needs. This includes custom shaped bumpers and colors, special die-cut sheets, and customizable bags. Do you have a bumper related question and need it answered quickly? View frequently asked customer questions that have been answered by our knowledgeable Bumper Specialties staff. Our Resource Center will provide you detailed information about our bumper adhesive, polyurethane, packing and weight values for shipping and ROHS documents. Learn the correct way to apply your bumpers and how to store your adhesive feet properly. 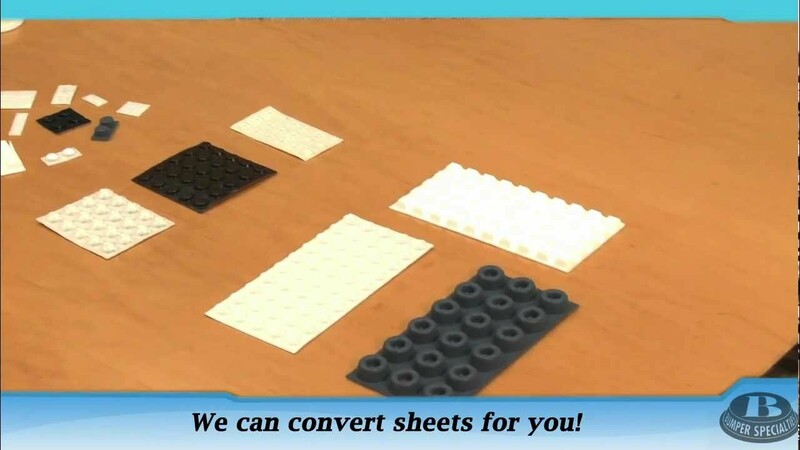 Bumper Specialties is proud to be an American manufacturer that produces self-adhesive rubber feet. We ship our parts to over 70 countries throughout the world. Contact us to find a local bumper feet distributor in your country. We also sell direct to any location in the world with experience in international trading and shipping rules. Working closely with a number of different freight forwarders positioned in key world venues, allows us to ship our parts to your door in an expedient manner. We will also try and find the most cost effective shipping rate to minimize your expenditures. Our multilingual sales team works diligently with our customers to make sure all of their bumper needs are met. 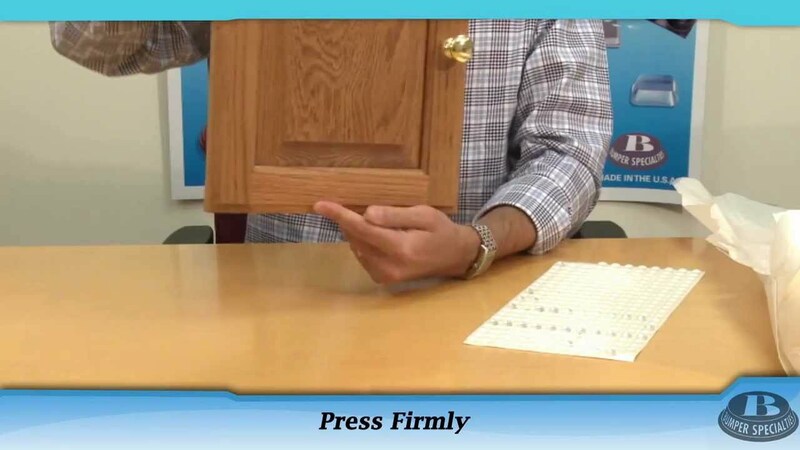 Watch some informative videos about our adhesive backed rubber bumpers! Learn more about our various color options, pad sizes, and even see how to apply our bumper pads to your applications.